Game retailer GameStop is clearly taking the threat of digital distribution seriously, creating a new position within the company—General Manager, Digital Media—and putting Chris Petrovic to work on generally managing all that stuff. Specifically, Petrovic will "building on the company's ongoing efforts to integrate digital media into the company's multi-channel strategy, as well as overseeing the development and execution of a digital acquisition strategy." In regular English, that likely means finding ways to sell digital goods to GameStop shoppers, the kind of thing that takes up minimal shelf space at a strip mall location. It's also the kind of thing that threatens the core of GameStop's business, selling you used games. While Petrovic is probably whipping up a scheme to digitize yellow paper stickers to apply to used downloads, he'll also help GameStop in "identifying and effectively participating in emerging trends in casual, browser and mobile gaming." With Xbox Live Arcade, PlayStation Network, WiiWare, DSiWare, Steam, Direct2Drive, et al. 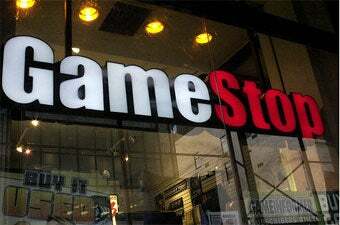 snapping up some of the dollars GameStop would rather have, the addition of Mr. General Manager, Digital Media looks like a response to all that.